I DONT THINK THERES ANY REAL POINT IN CLEANING MY HOUSE UN - ProudMummy.com the Web's Community for Mums. 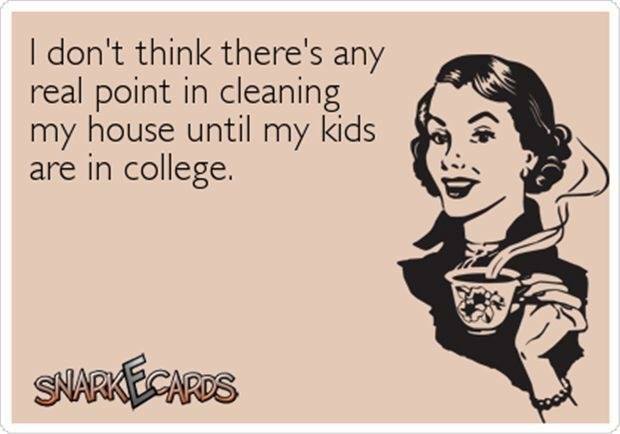 I DON'T THINK THERE'S ANY REAL POINT IN CLEANING MY HOUSE UNTIL MY KIDS ARE IN COLLEGE. Jenny Roy Louise Roy I agree!! !